A dramatic story of Arakel, a peasant, who dramt of his native home town one sleepless night. The anguish made him cross the border to Turkey. He tragically ends his life in the NKVD (Commissariat of Internal Affairs). In 1941-52, Frunze Dovlatyan has been an actor in Armenian provincial theatres and G. Sundukyan Drama Theatre of Yerevan. In 1947, he graduated from the Theatrical Studio at the G. Sundukyan Drama Theatre of Yerevan. 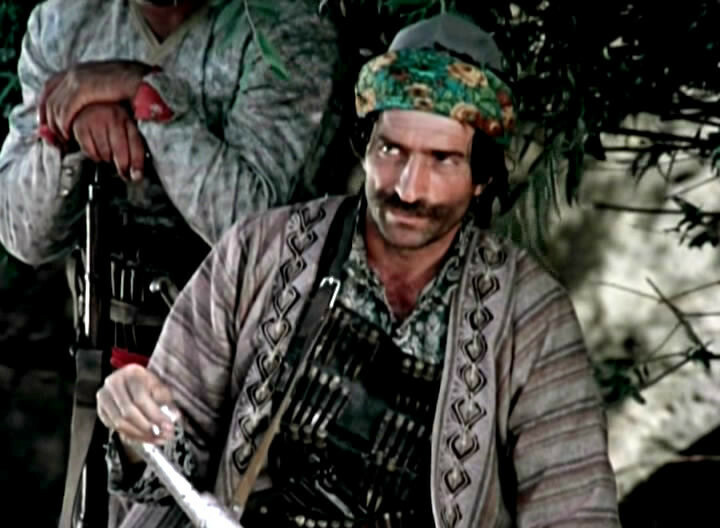 In 1950, he was awarded Stalin Premium for the role of Hrair in the play These Stars are Ours. In 1959, Frunze Dovlatyan graduated from the Directing Department of VGIK (S. Gerasimov's master class). In 1959-64, he worked at Gorky Film Studio in Moscow. In 1962-64, he was a film director at Mosfilm Studio, 1964-97 - at Haifilm Studio. In 1965, Frunze Dovlatyan shot a film Hello, It's Me, which became a turning point in the history of the Armenian cinema. Since 1943, he has been starring in many films. Who Is to Blame? (1958, Co-dir. Lev Mirsky), The Morning of Our City (1959, Co-dir. Lev Mirsky), Dima Gorin's Career (1961), Morning Trains (1963, Co-dir. Lev Mirsky), Hello, It’s Me (1965), Chronicle of Yerevan Days (1972), Delivery (1976), Live Long (1979), The Venice International Conference (1982), The Mekhitarists (1982), Bridge of Cultures (1985), A Lonely Walnut Tree (1986), Nostalgia (1990).